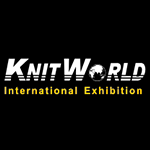 "“Bringing Knitting & Textile world together”"
Knit World International is an event at an international standard aiming to bring forward the knitting and textile worlds by working united. The event covers 400 national and international brands and businesses gathered under a single roof. The visitors can attend different types on knitting courses and get trained in knitting. The event also displays a marketplace where the visitors can find different types of yarns and accessories, from all across the world. Get trained by professionals and become a master in knitting in a week. The event also enables various designers, retailers and industrialists to grab tremendous amounts of best quality yarns and fabrics for their business at an economic rate. 5 19 Jan 2016 Prabhjot Singh Managing Director at Goodmore Marketing Pvt. Ltd. Profile for exhibit includes Circular Knitting, Flat Knitting, Multi Head Computerized Embroidery, Industrial Sewing, Dyeing, Finishing, Processing, Steam Presses, Tumbler Dryers, Dry-cleaning, Linking, Multicolor Transfer/ Screen Printing, Raising, Brushing, Antipilling, Fusing, Lace and Crochet Knitting Machines, Designing Units. 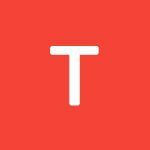 1 BR Guest house in Thakur Colo..